Everything you need to know about using Twitter to grow your business. Grow your audience, increase engagement, and build your brand! Learn how to dominate Twitter, grow your business, and increase your income. 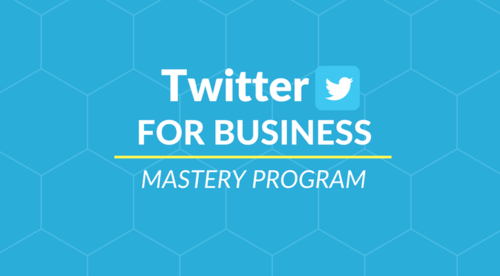 14 units of Twitter training taught by Twitter expert, Ryan Holmer. Lifetime access for just $497. Proven Twitter strategies and tactics tested on 100's of local businesses across North America. Presented by Twitter expert, Ryan Holmer. We've compiled real data from real businesses and will break down piece by piece what works and what doesn't. Ultimately providing you with the most practical, trusted, and powerful information available anywhere. Discovery all of the tools, systems, and growth hacking tricks used by professional marketers and industry experts. So you can dominate your local marketplace and take your competition by surprise! Use Twitter to build your brand & grow your business. © 2019 SocialCademy a division of Suits Social Inc. All rights reserved.